Zebra Technologies Corporation has launched two new healthcare barcode printers that can identify patients and specimens at the point of care. Zebra’s ZQ600-Healthcare series label printers and ZD510-HC direct thermal wristband printer produce highly durable labels and patient identification wristbands used to accurately and efficiently pair patients to the correct medical records, care staff, medication and specimens. You don’t have to be cast away on a desert island to write messages on the sand to get attention. 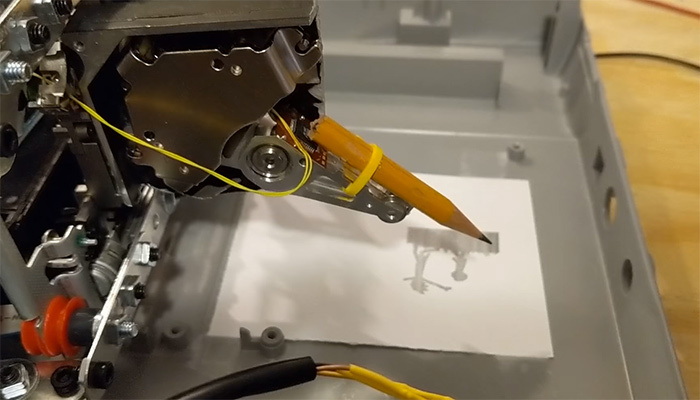 Just get yourself this automated sand printer to get your message across. To your significant other, for instance. 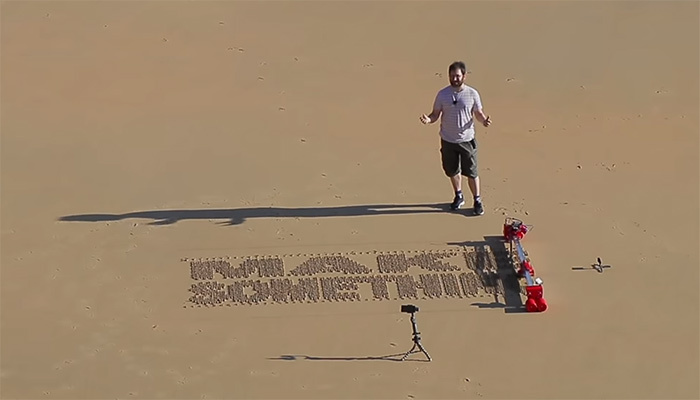 Ivan Miranda has designed and built an autonomous printer that can draw messages in sand, so now’s probably a good time to brace yourself for an endless barrage of “will you marry me?” beach proposals clogging up your feeds. Years after it was revealed that HP’s printer ink was more expensive than actual human blood, printing photos at home on an inkjet is still a ripoff. You’re better off having them printed professionally at a photo center, or, by recycling a bunch of old electronics into a home-made printer that uses a tapping pencil in lieu of ink carts. A Japanese company Mobile Star Micronics has introduced the SM-T300 printer designed for mobile computers, i.e. smart phones and tablets. The gadget is fully optimized for working in the field: it has a rechargable battery and a rubberized case for reliable operation. Case Star Micronics SM-T300 can withstand falling on a hard surface from 5 feet height, the design meets the IP54 international standard. This standard indicates that the mobile printer is protected from dust, yet allowing small amount of it to infiltrate without affecting the operation of the device. The printer is also protected against water splashes from any direction. The battery life is about 11 hours, which is more than enough in most situations. The device connects to your phone or tablet via Wi-Fi or Bluetooth. It should be mentioned that the printer is positioned as an alternative to a mobile cash register, although any kind of content can be printed out. 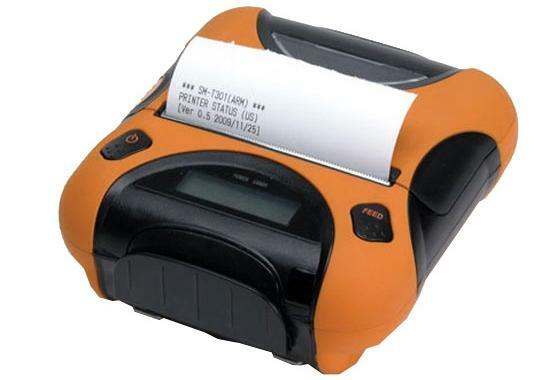 Star Micronics SM-T300 is designed for people into delivery of goods and has a built-in card reader for magnetic cards. How do you like the idea of moving the wall, an integral part of today’s social networks, to the real world? Liat Segal is obviously a fan of social networking who wants to leave messages for friends not only on the virtual wall, but also on quite tangible one. 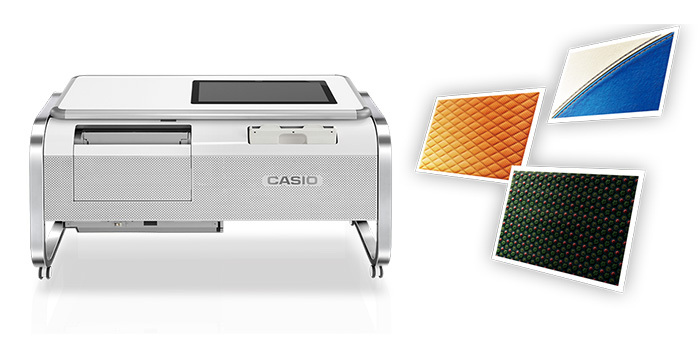 To do so, Liat invented Cellular Wall Printer, a device resembling good old impact printers. The device is a combination of an Android-smartphone and servo motors, the latter control the movement of each of the seven markers. An “adapter” between the phone and motors is the IOIO programmable board. 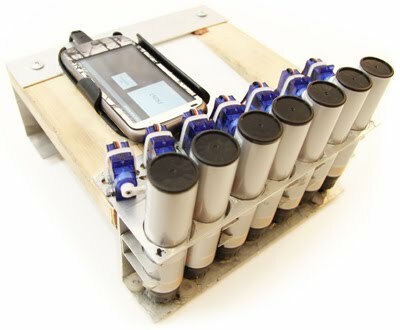 The Cellular Wall Printer receives messages on a smartphone (SMS, Twitter or Facebook), which it prints on any wall (or surface, for that matter). 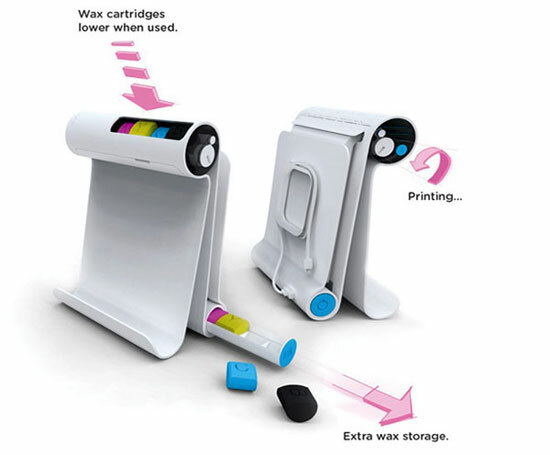 Chances are Wax-On printer becomes the most simple product of its kind. And it will, when transformed from a concept to a serial device. 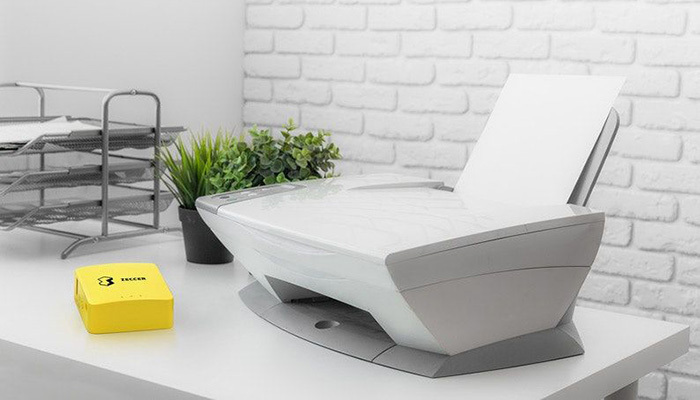 The author of this development, designer Faris Elmasu, believes the main advantage of this printer is the use technology of solid or thermoplastic wax-based dyes. This technology really has many advantages over traditional ink printers. Maintenance of such office equipment does not cause virtually no hassle, even cartridges are replaced in one step, leaving no residue on hands and clothes. The original design of the printer is worth noting for being positioned vertically and having a slim build. A device like this would look cool on anyone’s table. Wax-On looks obviously nicer than all modern printers. 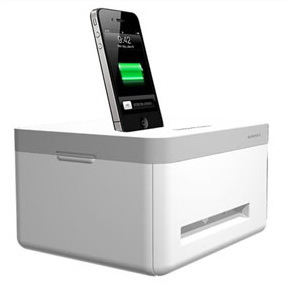 At first glance it seems that what you see on the picture below is another docking station for Apple devices. It is not so, and actually is much more interesting than that. 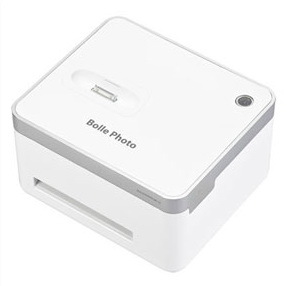 Bolle BP-10 is a small printer designed to print photos up to 4×6 inches. Built in the traditional Apple design, the cube printer boasts a full four-color printing and an interesting mechanism for the process of making pictures. BP-10 applies one color at a time, then shows the result to user and “swallows” the page for the next run. The quality of printing this device offer is very decent level, but the cost of BP-10 can scare customers away. Not everyone would agree to pay £120 ($190) for a printer, even such interesting as this. 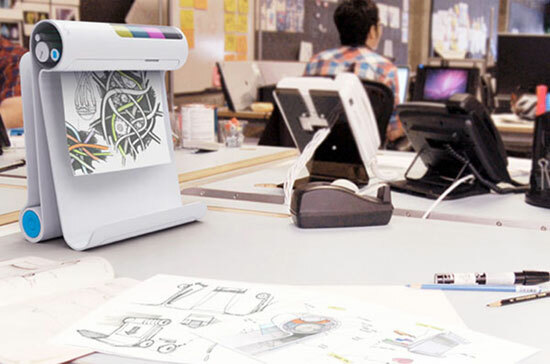 HP has announced three new inkjet multifunction printing devices: Envy 100, Officejet Pro 8500A Plus and Photosmart eStation. All three new devices support ePrint network printing service presented recently. By looking at the HP Envy 100 e-All-in-One you can hardly say that this is a full-fledged MFP, but the device really can print (including documents sent to the mobile network), scan and copy. It is equipped with the input and output trays, which are inserted and ejected like a DVD drive tray. MFP is equipped with two cartridges (with black and tricolor – cyan, magenta and yellow inks) to print monochrome documents at 30 pages per minute and color documents at the speed of 25 pages per minute. 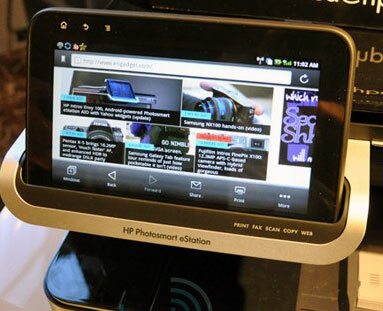 HP Envy 100 features a 3.45-inch touch screen for both device control and for setting and working with web-applications. MFP will go on sale some of these days, the cost of the device is $ 249. The main feature of the Photosmart eStation MFP is a removable tablet with 7-inch touch screen running the Android OS version 2.1 (version 2.2 will be available for it at the end of the fall). The tablet supports electronic book reader (with access to the Barns & Noble online bookstore), equipped with the Yahoo! search engine, but does not have access to the Android Market and has no pre-installed Google applications. It is reported that the battery life of the tablet ranges from four to six hours; the tablet interacts with the printer over a Wi-Fi 802.11b/g/n adapter. The Photosmart eStation, being a flagship device, differs from other new products by a number of parameters: it has five separate ink tanks and the maximum print speed is higher (33 pages per minute in monochrome mode, and when printing color documents — 32 pages per minute). Maximum (so-called optimized) print resolution in this model can reach 9600 x 2400 dots per inch. The unit is equipped with 64 MB of memory and SD memory card readers as well as USB 2.0 interface port.